What you're seeing is how a civilization commits suicide . . . The military is out of fashion, Americans undervalue manual labor, schools neuter male students, opinion makers deny the biological differences between men and women, and sexiness is dead. She starts by pointing to the diminished status of military service. "The entire elite class now, in finance, in politics and so on, none of them have military service -- hardly anyone, there are a few. But there is no prestige attached to it anymore. That is a recipe for disaster," she says. "These people don't think in military ways, so there's this illusion out there that people are basically nice, people are basically kind, if we're just nice and benevolent to everyone they'll be nice too . . . [The elites] literally don't have any sense of evil or criminality." A key part of the remedy, she believes, is a "revalorization" of traditional male trades -- the ones that allow women's studies professors to drive to work (roads), take the elevator to their office (construction), read in the library (electricity), and go to gender-neutral restrooms (plumbing). Paglia has been making this sort of argument rather a lot recently, or maybe I'm simply noticing it more. Anyway, the article is worth reading if you like Paglia -- and worth even more if you don't . . . It is often said that young men are not men anymore. I've certainly heard this said about male students (according to this paradigm, women are much better, harder-working, and more conscientious students than men--that is, younger male students); and also I've heard comments from friends in construction who complain that young men don't work very hard. I am very careful when challenging male students with the sort of direct "rhetoric" that characterizes traditional older male to younger male discourse. My female colleagues have more latitude when directing constructive criticism towards young male students. More and more young men these days just don't understand traditional models of male authority: They grew up without a father at home. Back in the 70s our masculinity was challenged... and I suspect this is said every generation about young men. Many will agree with Paglia: masculinity is in decline. And my sense is that the people who share her perspective are the same who would claim the middle class is in decline... which may or may not reflect upon Paglia's comments about such colleagues in the humanities as she is happy to avoid. That is, notwithstanding their middle-class "lifestyles," the humanities professors she has in mind neither support or contribute to the cultural or economic platforms that makes even their own status possible. As masculinity declines, so too does the number of full-time or tenure-line university positions. Interestingly enough, we are talking about Paglia's article on the International Authors facebook page today. So . . . in Europe (or the central part), men are men again? For the rest, who end up in some office in the widest sense, even the pajama type is a step away from the ethereal, depressive, unhealthy and passive type that was prevalent twenty years ago. Yes, he's smug, know-it-all and ironic and all that, but these qualities appear only so offensive when coupled with a political setting the critic despises. But these guys come in all flavours and they are a joy to teach and to work with, compared to their immediate predecessors. And most university-age guys are the same they've always been, anyways: Middle-of-the-road, but somewhat tinted by the prevalent extreme. And I like today's extremes better: More Oscar Wilde, less St. Sebastian. "[T]hese qualities appear only so offensive when coupled with a political setting the critic despises"
Excellent point. Pajama Boy at least is intelligent and informed (or is meant to be). "Primary-school education is a crock, basically. It's oppressive to anyone with physical energy, especially guys," she says, pointing to the most obvious example: the way many schools have cut recess. "They're making a toxic environment for boys. Primary education does everything in its power to turn boys into neuters." As an elementary school teacher, I can validate the perceptions of Paglia, who probably hasn't actually spent much time in elementary classrooms and therefore relies on second-hand information. Curiously, she fails to follow up with the reason behind the lack of recess and PE time, namely the oppressive role of standardized testing in measuring student achievement and teacher effectiveness. Any K-12 educator who's familiar with best practices research can explain how and why regular physical movement improves student learning, but like Korean parents who understand that adequate sleep is critical to optimal school performance yet limit their high school kids to four hours of sleep per night, local administrators don't want to take a risk by making radical changes and then getting blamed if test scores drop. Look out, Carter Kaplan, universities are the next target of education reform rent seekers. "Ms. Paglia observes this phenomenon up close with her 11-year-old son, Lucien, whom she is raising with her ex-partner, Alison Maddex, an artist and public-school teacher who lives 2 miles away. She sees the tacit elevation of "female values"—such as sensitivity, socialization and cooperation—as the main aim of teachers, rather than fostering creative energy and teaching hard geographical and historical facts." Either Paglia's ex-partner Maddox is a horrible public school ether or Paglia is mischaracterizing statements made by Maddox, I suspect the latter. If you want to know what schools are tee aching, you don't have to take the word of an anonymous stranger on the internet,. You can verify for yourself by browsing Common Core standards adopted by 43 states or individual standards for the other 7. You can browse released achievement tests from past years and try taking a few to see what students need to know to complete 13 years of K-12 education and graduate from high school. 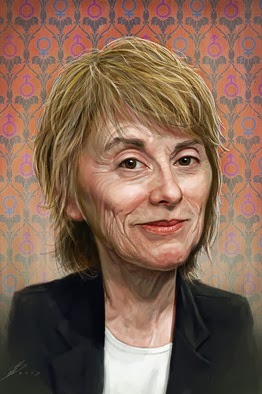 Paglia also appears ignorant of human genes, cultures and evolution. Like other species that live in groups, we are by nature both cooperative and competitive, owing in large part to genes coding for selflessness and selfishness. Traditional cultures tend to esteem cooperation, including our early American ancestors. Captain John Smith saved the Jamestown colony from starvation by rejecting competition in favor of cooperation with an enforced work program aimed at stamping out theft of food stores. Even the proponents of game theory now acknowledge that human beings are not completely individualistic and selfish and will take risks on behalf of others with shared interests. Ms. Paglia observes this phenomenon up close with her 11-year-old son, Lucien, whom she is raising with her ex-partner, Alison Maddex, an artist and public-school teacher who lives 2 miles away. And therein lies the crux of what group is doing a lot of the emasculating..... My apologies if that offends anyone, but just look around and see the acceptance of everything, means we are standing for little, and those that do get raked over the coals as being extremists or homophobic or backwards or any number of other "tags". Sonagi makes some valid points and the "common core" is slowly denigrating all levels of education in the US. Apparently, you've had a careful look at Common Core, so perhaps you could be specific about your concerns. No cheating by cutting and pasting others' criticisms. Tell us what YOU think and WHY. "Paglia also appears ignorant of human genes, cultures and evolution"
If so, a great irony since she cites biology against those feminists who ignore it. Paglia's understanding of human biology appears to have fossilized in the 1960s. stages bSetsfSonagi - My opinions are based off the teachers in my direct and extended family. They teach grade school, middle school, high school, and my sister is a college professor. They teach in Arkansas, Texas, Oklahoma, Georgia, and California. For the primary school teachers, the Common Core program requires them to teach in a way which focuses on memorization and repetition over doing actual research or streching the mind by reasoning out a solution. MY opinion is the Common Core is creating a drone society with little ability to think outside the box. The family members who teach in Texas tell me there is a backlash from the teachers across the state who are saying they have no time to do actual teaching because they are only preparing for the next standardized test required by the core standards. My sister, who is an English literature professor, tells me very few of her first year students know even the basic fundamentals about researching or creating an essay or even a two page review. The dropout rate for first and second year college students in Arkansas is higher now than at any time in the past. I fully support performance and achievement goals for teachers and students, but if those goals are attained by rote, what have we gained as a society in whole? Jay, that sounds a lot like Korea's shortcomings in education. Christmas: Once a Year Too Often? An Intellectual Who Can't Fix Things . . .
Kim Jong-un 'Pissed' While Purging?